Despite our love of the summer months, we look forward to Christmas with equal excitement at The Beach House. 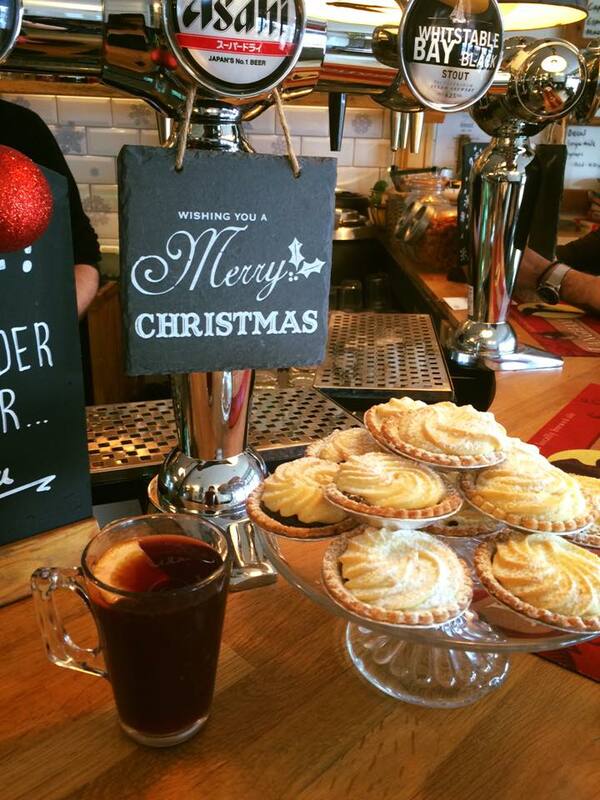 Cosy afternoons and evenings with good beer and tasty homemade food sound perfect to us, and with the festive season just around the corner, we’ve released details of our plans for Christmas! This year, we’re doing things a little bit differently, but still in our relaxed Beach House style. We’re serving up a Christmas menu in Worthing as finger buffet platters, with the view that groups can enjoy a great time out without having a full on sit down meal. To get the party started, choose from a set of mouth watering appetisers. Enjoy a cup of delicious lobster bisque for a touch of luxury, or a warming cup of wild mushroom cream soup. For mains, there’s a selection of platters that include chicken teriyaki skewers, local oyster shooters, pigs in blankets, open turkey sandwiches with cranberries, and more! Vegetarians are covered too, with rancini risotto cakes, feta filo parcels, stilton arts and suppli fresh mozzarella balls. There’s even dessert platters, featuring mini mince pies, and of course, a cheeseboard packed with local cheeses, biscuits, pickles and fruit. See the full selection with prices here – there’s loads to choose from! We can’t wait to serve up this quirky Christmas menu in Worthing later this year. The menu is available from 28th November to 23rd December inclusive, and pre-ordering and reservations are required up to 72 hours in advance to allow for careful preparation. The menu is subject to availability, but with so much choice, we guarantee something tasty for everyone. Orders must be placed in multiples of 6pcs.